With the best knee pads, you are able to kneel without getting yourself dirty or compressing the soil. Knee pads are essential for every gardener. The pads will protect your knees from shock and damage without extra bulk. You will be able to use then for small-tasked jobs around home like scrubbing the floor, painting and washing wood-work. Top rated knee pads will help relieve stress on your knees and legs when standing, kneeling or walking in the garden. This one is larger than most kneelers in terms of thickness and width. Due to the rigidity and quality of the foam, it makes it less prone to punctures and tears. This is a hardy and long-lasting knee pad created by the Midwest Gloves & Gear manufacturing company which is based in Missouri. It has a spring systems which locks and held the extended legs in position improving stability. 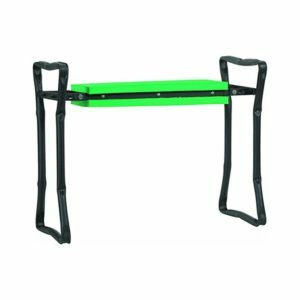 This Kneeler is a gardening necessity created by Gardman, a company based in the United Kingdom. The company offers a variety of inexpensive products which are durable and long-lasting. 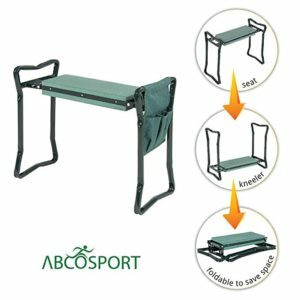 If you want a cheap and a sturdy kneeler, this is the right one for you. It is light-weight and rigid and folds up easily. It is the best cheap gardening kneeling pad. This is similar to the Midwest gardening pad but made from steel rather than aluminum. It has a powerful spring locking system that offers maximum stability. Also, it has a tool bag that you can use while gardening. The hand-grips are not as deep as those of the Midwest kneeler. You need to go for this one if you prefer a powerful model and quality design. Some people may think that high-density mats are too hard to kneel on. 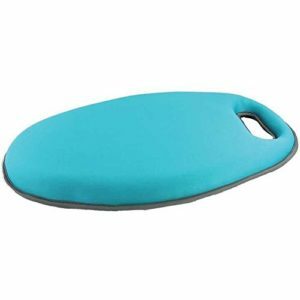 This is not an issue, but if you need more comfort, you should go for this IdeaWorks Comfort Kneeler. It is not hard-wearing but it is ideal for lighter gardening. It is not expensive to replace it regularly when it wears and tears. A soft and comfortable pad every gardener can dream of having one for the morning chore. 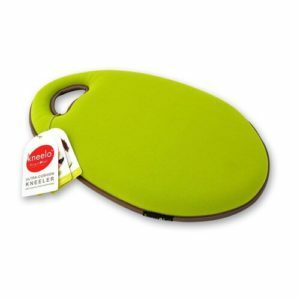 With this top quality HappyPicnic kneeler pad, you’ll enjoy your gardening time than ever. Interestingly, this product would re-soften when used indoor or days get warmer. Ideally, the KHAYA Knee Pads for work more than just for gardening purpose. You can also use it for construction, plumbing jobs, carrying or moving supplies and materials like bricks and wood. It’s designed to protect users from unexpected injury. Want to avoid uncomfortable knee pain? 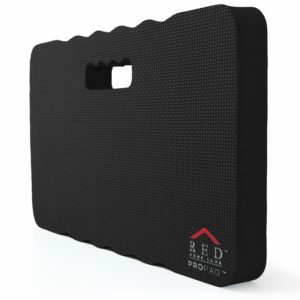 Get this BackJoy Kneeler! Now. The best kneeler pad for two purposes: gardening and for baby bathing. As a result, you’d spend less for more. By now, you’ve been through a list of the best gardening knee pads worth buying. The selected top products will give you extra comfort when gardening in your backyard. Whether you are working on a large scale or looking for a way to relieve the pain of kneeling down on hard soil or terrace flagstones, this selection of the best kneeling pads will place you on the best path. Different gardening accessories and tools have many variations. There are two main types of gardening knee pads which include mats (kneelers) and those that have hand-grips and can be changed into a fordable stool for sitting on or kneeling when working in the farm. There are also knee pads which give more cushioning, extra comfort and created mainly for gardening purposes.